Scientific classification of Green Tree Frog: Hyla Cineria. Green Tree Frog of America has been credited as the one of the most attractive species among the tree frogs of the New World. These friendly and almost harmless frogs are populous in Southern America and form wonderful pets for those who have a love for beautiful animals. These monotypes also form interesting objects of observation and scientific researches. These frogs are thought to be the native of Louisiana and Georgia. These frogs always prefer to feed on active preys. They do not like to attack a passive prey which implies that they really love to play the game of preying. The population of these frogs is high enough and do not list among the endangered species. This frog specie is undoubtedly one of the most beautiful creatures among the new world tree frogs. These categories of species don’t possess any sub species. They usually inhabit in parts of South America. They popularly become beloved pets. 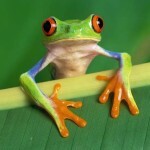 The Green tree varieties of frogs are mostly found in the regions of the South-Eastern USA. They also dwell in certain parts of East Virginia and some of Central Texas in West America. They are also found profoundly in the adjacent states of Delaware and Maryland. These species can also be spotted in Vancouver Island and British Columbia. In these kinds of species belonging to the frog family, it is found that the males are typically smaller than the females. In addition to this, only males have vocal pouch. Size of Green Tree Frog: Length of the medium sized ones is up to 6 cm which forms their average size. 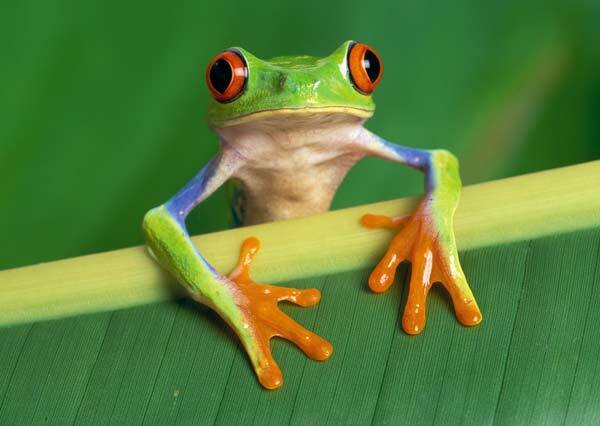 Color of Green Tree Frog: These species are found in contrasting colors. Their color may range from yellow olive to lime green. The tone of their skin color abruptly changes due to the effects of temperature or lighting. Some times there are blotches of gold or white are also seen. There is also a creamy white or pale yellow line runs through the jaw to groin. The abdominal area is either white or yellow. These species prefer to thrive on debris, grasses and floating vegetation. They are also located around lakes, ponds, rivers and marshy areas. These species like to feed on all types of insects. Mostly their food habits include mosquitos, smaller insects and other kinds of flies. They always like to feed on active preys. Surprisingly, the size does not matter to them at all. The male species produce a typical consecutive sound especially when the sky is overcast. The high time for their mating season generally takes place during the months of April to August. 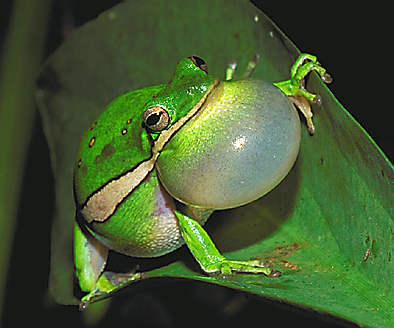 The male green tree frogs generate a peculiar sound to attract the female counterpart. Moreover, it is also seen that the males are not restricted to a particular female. Rather they prefer to link with several women. During the original mating season, the male grabs the female from behind. Eventually the male gets ready to produce the sperms. These sperms float smoothly into the female eggs. This results in the fertilization process. 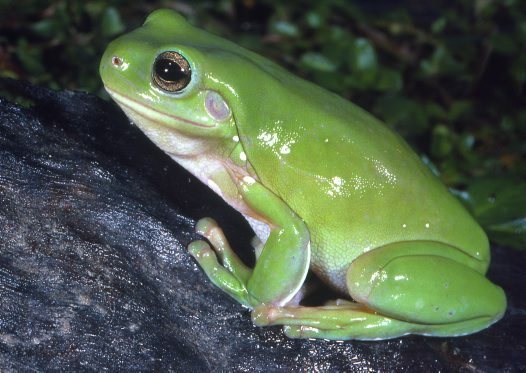 Breeding in these green tree frogs depends on three factors. They are mainly precipitation, temperature and length of the day. 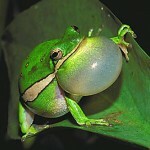 It is observed that in a single mating period, the female green tree frogs can lay 400 eggs at a time. After this, the eggs generally take 4 – 14 days to hatch. 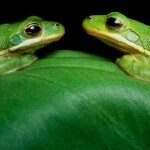 Now it is not a strange to note that the green tree frogs have several grips at a single mating season. However, they experience the mating season once a year. Tank Required: It is essential that the tank has a capacity to hold at least 10 gallons of water. Make sure that your little one lives comfortably in that. Use Substrate: The tank should have a substrate that would help in creating the desired humid condition. Such substrate can be prepared with gravel or cypress mud along with peat. 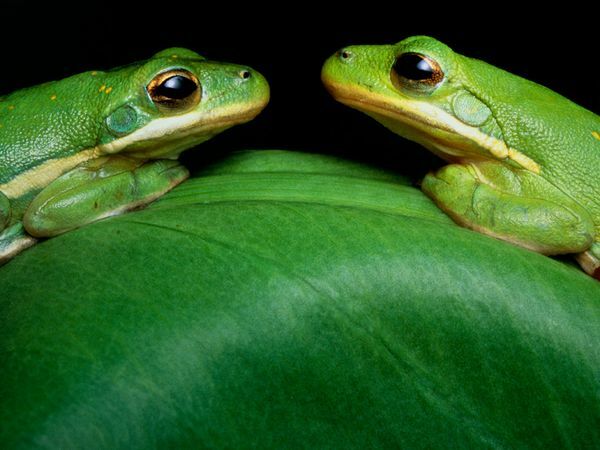 Fake Environment: These tree frogs prefer a wild environment. Thus those interested in petting these species should be careful of preparing a place that looks wild with artificial branches, leaves and plants. Temperature Required: In summers, the optimum temperature should be around 20 to 25 degree Celsius such that the environments is congenial for their survival. 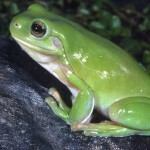 Light needed: Green tree frog is nocturnal its habitat does not need much light. Sufficient Water: It is essential to provide them with DE chlorinated water and it should be ensured that the humidity levels are optimum. Food Habits: They like to eat moths, butterflies and cricket. You should provide them with vitamins as well because just insects won’t suffice. These frogs can usually live for up to 2 – 5 years. According to IUCN report, they are enlisted in the category of those least important in the endangered list.